My brother-in-law’s garden, abundant and complete. 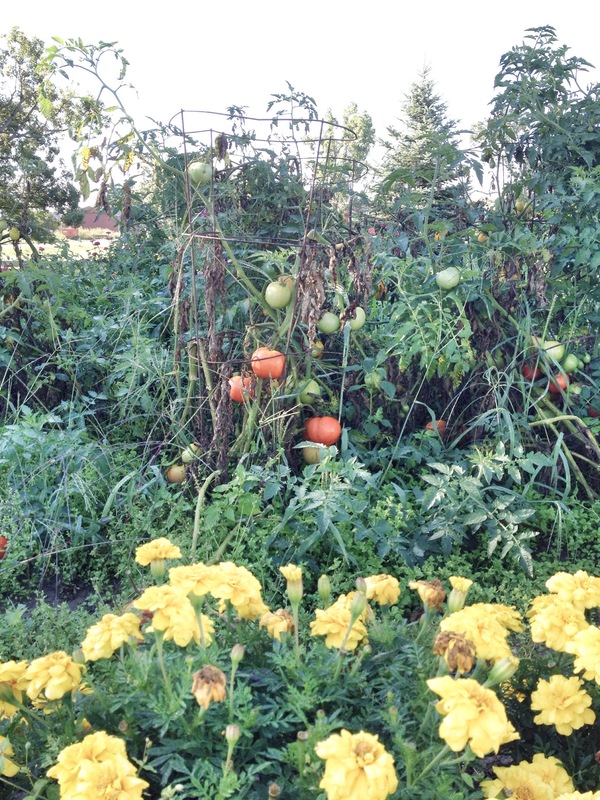 I’m envious of his gardening skills because every year he grows the most beautiful vegetables and his crops rarely fail. He feeds a whole extended family with his garden as my sisters and mother and now my nieces and nephews make salsa, bread and butter pickles, tomato sauces, and preserve other fruits and vegetables from his harvest. My sister is an incredible quilter. She makes the most beautiful hand sewn bedspreads and table covers that I’ve ever seen. When I gasp at what she’s done she just waves her hand away and makes that Pfffft sound. Then she tells me that there was some stitching that wasn’t quite right or a corner that was about 3mm off. I think her work is astounding and she is passionate about quilting, so much so that she has been known to go on marathon quilting retreats where these amazing women sit in a room and sew from morning until late into the night. I’m fortunate to have such talent in my family. I have a handmade quilt on my bed and I’ll be cooking up a big pot of fresh spaghetti sauce this afternoon. P.S. It’s nice to be home! sew something that intricate, and the corners would be off by inches instead of millimeters! Enjoy your time home. 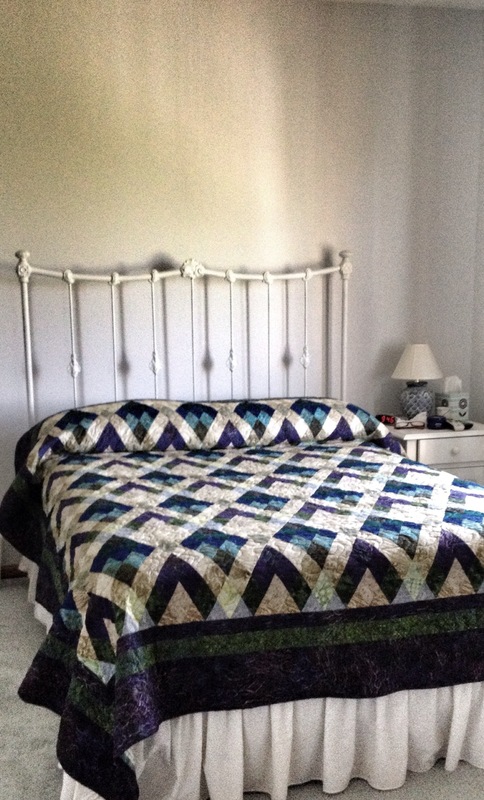 That is a gorgeous quilt! 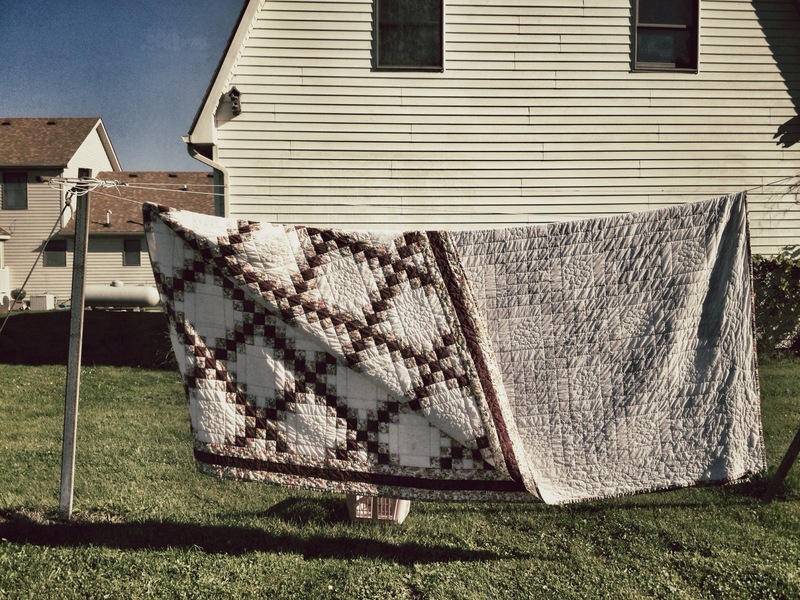 My grandmother would make quilts without a frame, by hand, by herself. Now we know where you get your talent and creativity! Although, I’m sure some of it just springs from yourself. Enjoy your stay and bologna spread. It looks and reads divine. I’m glad you’re having some time back home … there’s nothing quite like it.